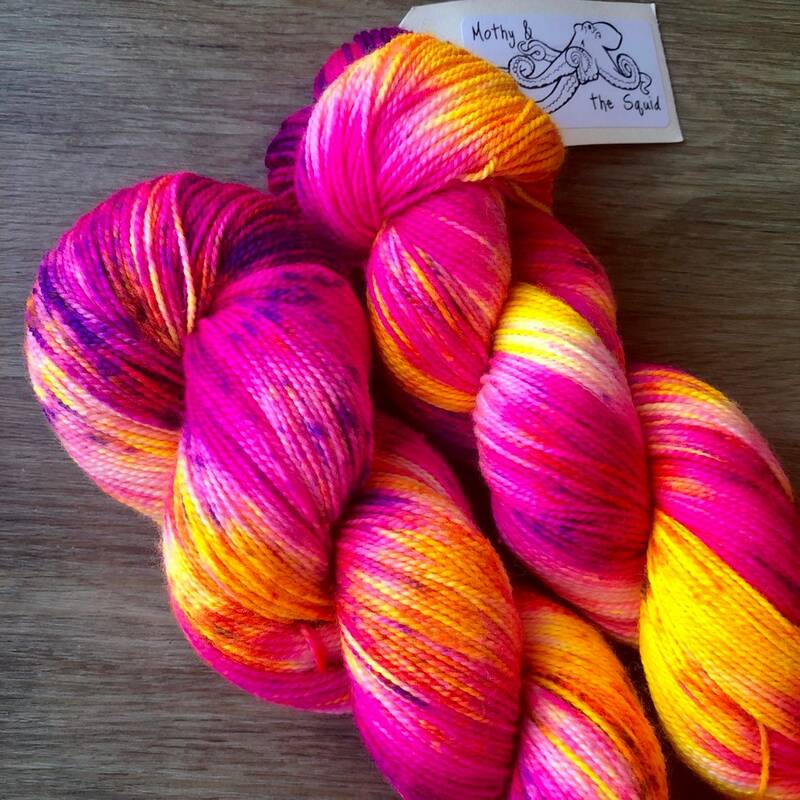 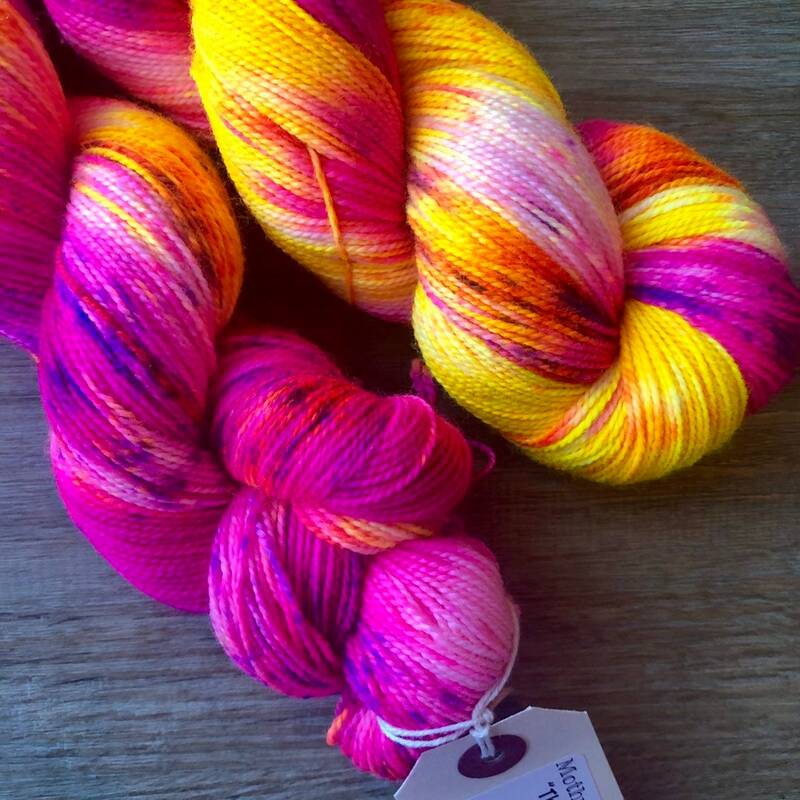 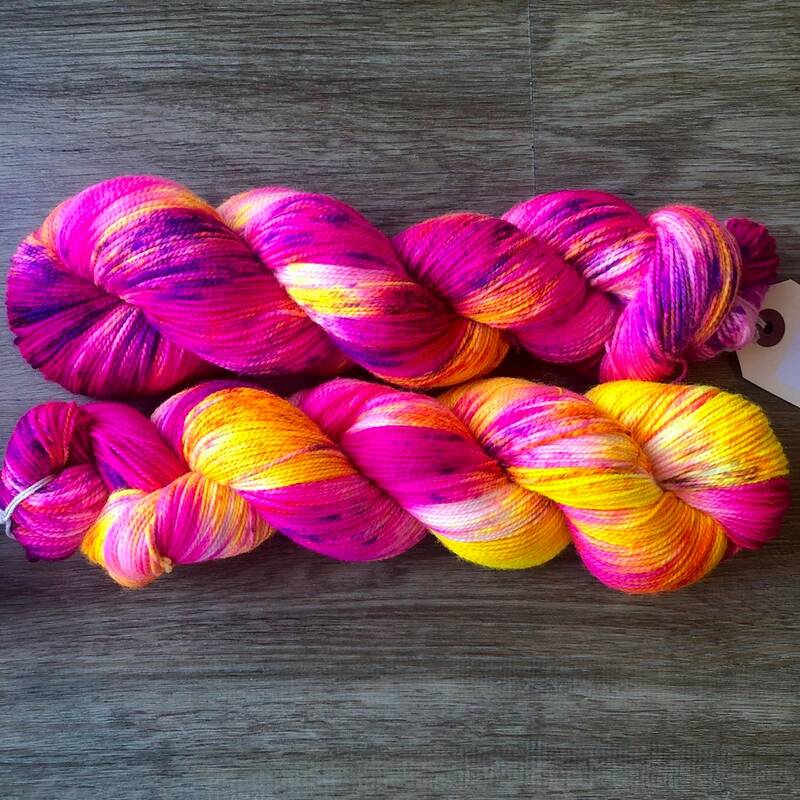 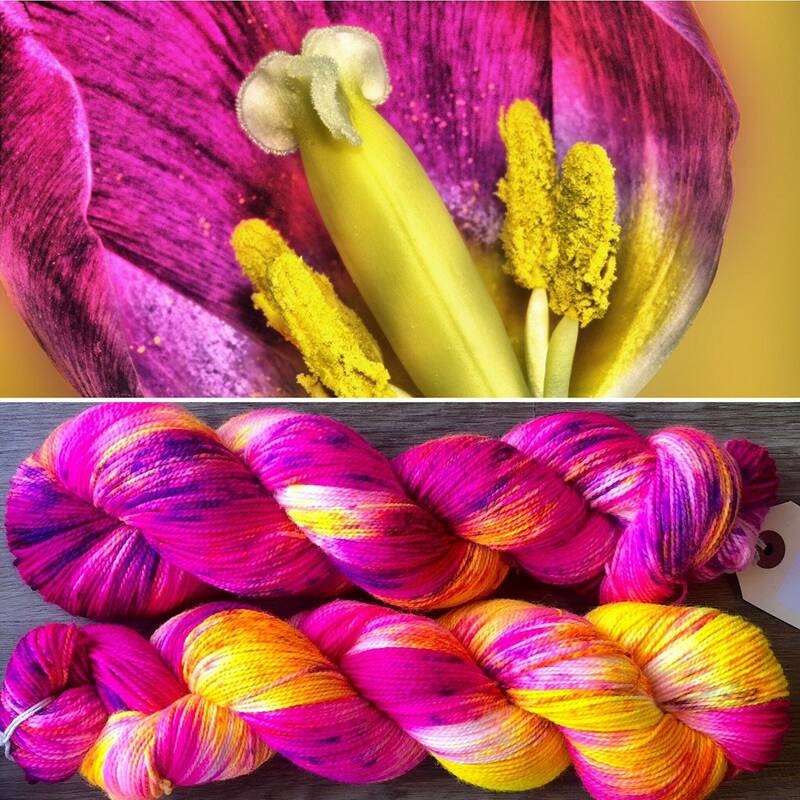 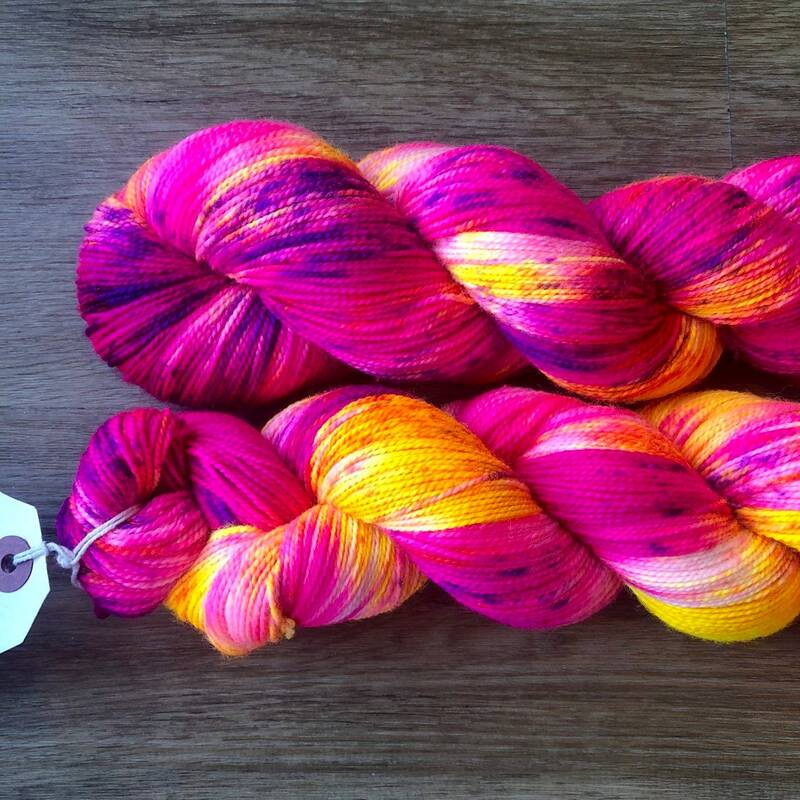 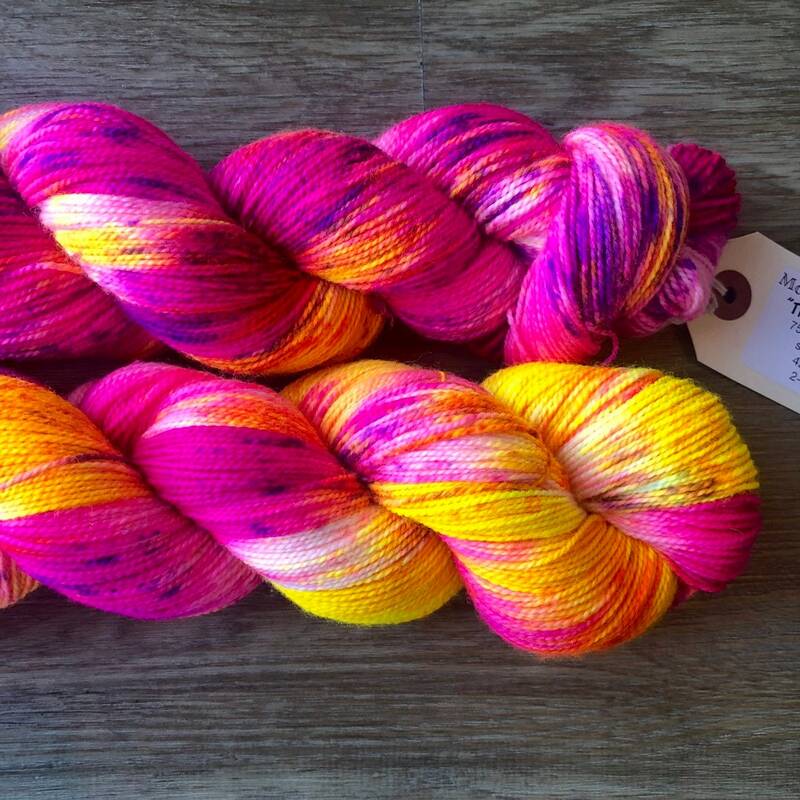 This colourway has evolved from the original pink and yellow Flamboyant Cuttlefish dyed for Perth Yarn Fest in 2016, becoming one of my nudibranch series (a charitable edition with ALL profits to a women’s shelter for International Women’s Day in March 2017), and returning as a cross between “Rosy Maple Moth” (2015) and “Ornamental Flower” (2018). 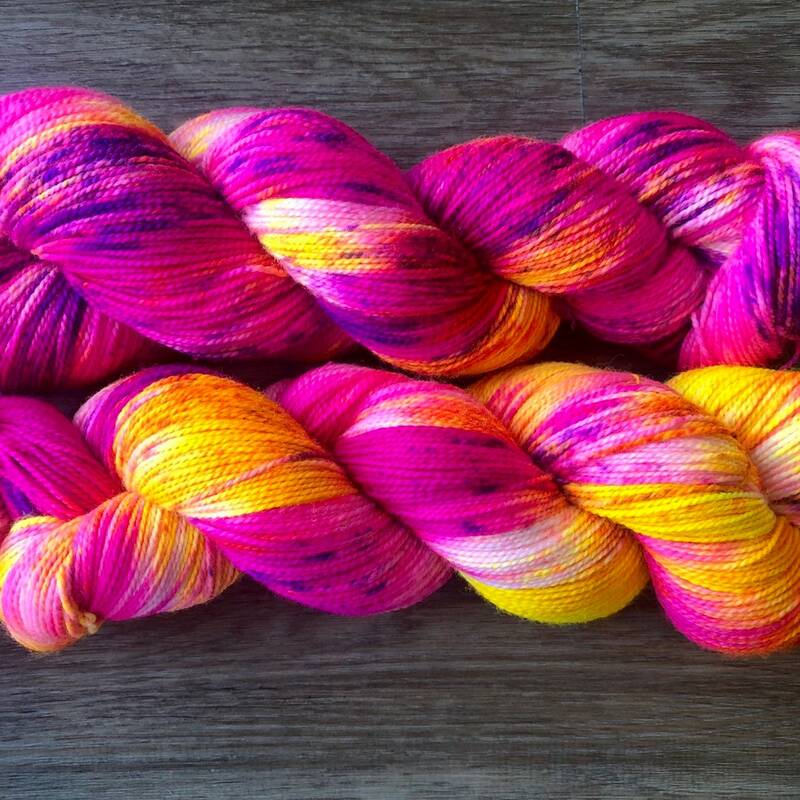 Each batch over the past couple of years getting a little crazier and more fun! 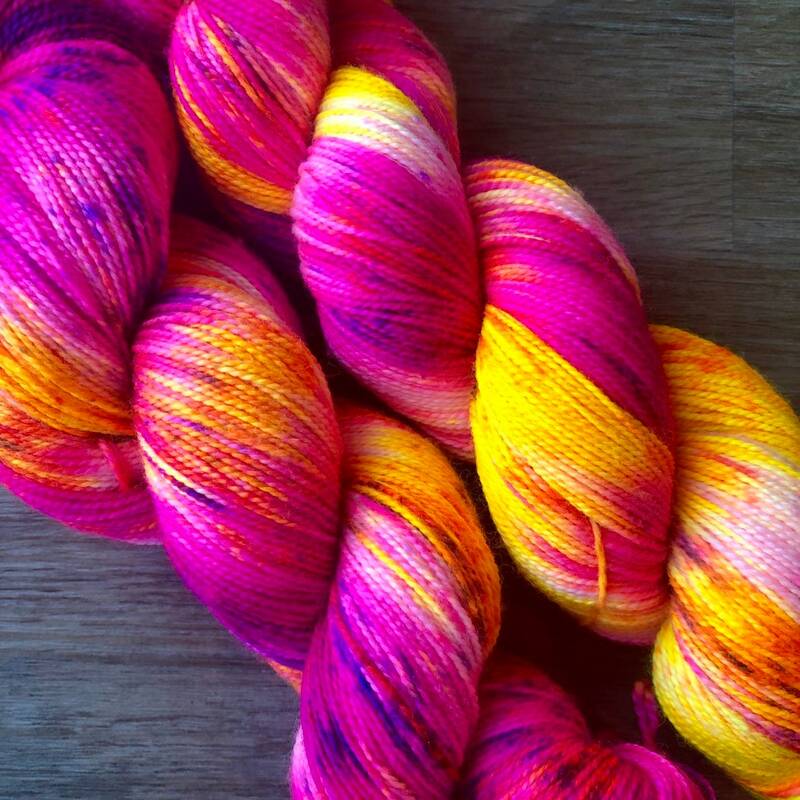 And these days we give our charitable donations privately so good causes benefit whether or not you choose to buy from us. 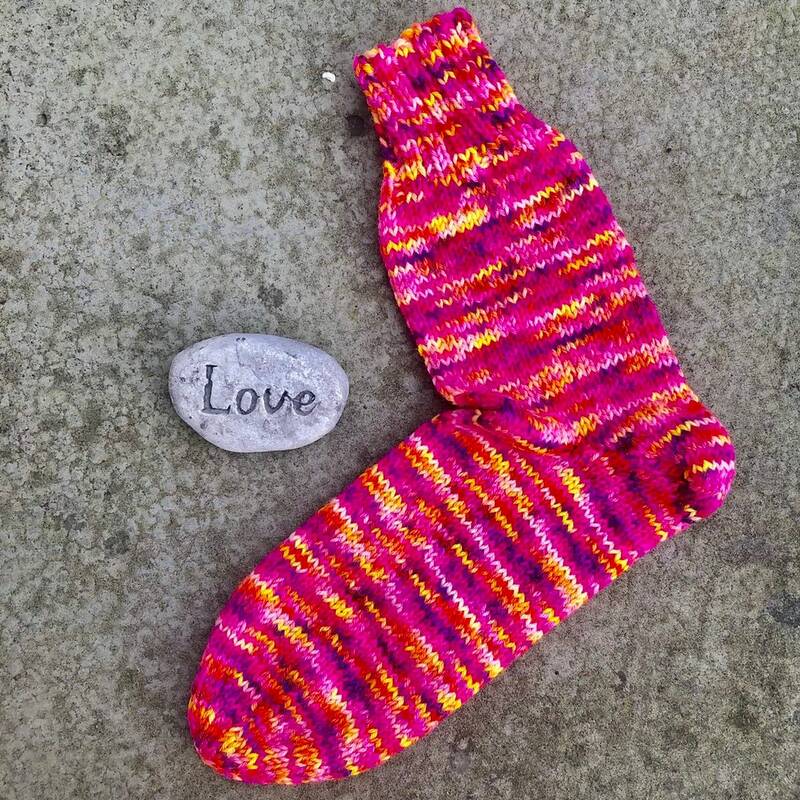 Knitted sample shows a previous dyelot.